The most frequently asked question is: can I use my soap as a shampoo? For me the answer is NO! So why can't we use soap as shampoo? Because our hair pH is less than 6! The common soap that we use is of pH 8-9. When you don't use the pH similar to the natural level, it will definately distrupt the chemistry of the hair, causing you to have a damaged hair. 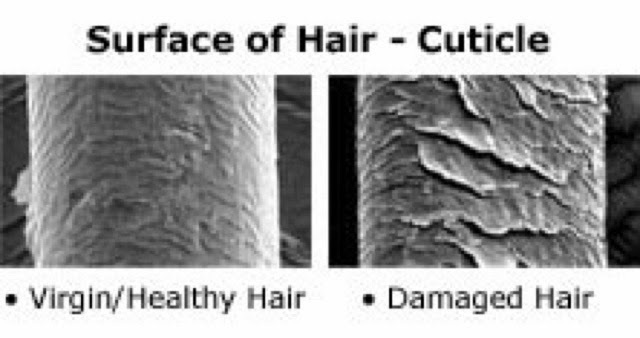 Well basically when u shampoo your hair using a cp soap instead of shampoo ( an cationic surfactant), your hair cuticles will not 'close' because of the pH distruption it causes. Think about those hair commercial thats for damaged hair, you know those sharp pointed hair cuticles? It will be like that. Sure it doesn't do anything initially (except ur hair will look very 'limp-y' and unhealthy) but because cp soap is made using lye, sometimes it kind of pull those heavy metals (lithium, calcium, magnesium) found in our tap water forming insoluble salt which causes build up on the hair cuticles. Since you are not using any surfactants cleaning agents found in shampoo), this build up can't be removed resulting in more build ups over time, finally causing breakage and hair damage. So even if you put a lot of hair conditioner it will not reverse the damage. There are many big company selling shampoo bar! Are you sure? It's true that there are quite a number of them selling shampoo bar but look at their ingredients closely. If you do you will notice that you will be looking at the bar packed with surfactant. If it's not SLS, it's SLES, or anything with sulphates. Regardless it's there. So when it comes to using our handmade cold process soap (with no sls) for our hair, the answer is no we can't use it as shampoo. On another note: makng your own handmade cosmetics is an art and it should be learned slowly by understanding the beauty of it. There is no such thing as one recipe that fits all. Learn the art, take your time, I'm pretty sure you will enjoy it as much as I do:) do drop me an email if there are any questions. I'll try to reply whenever I can. Till Thn. Have a great day.. I agree with u. What will be your advise for a viable natural shampoo recipe? Be it liquid or solid?